The Muscogee Roller Girls are heading to Savannah this weekend for the Savannah Slam 2017 tournament. This will be a weekend full of derby with bouts on both Saturday and Sunday featuring WFTDA teams from all over the Southeast. 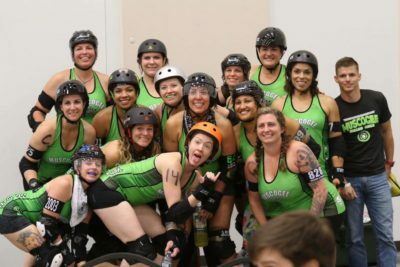 The first game for Muscogee will be versus The River City Roller Girls at 2pm on Saturday. This bout will be the debut of Knox and Mia Kougar as they make their first appearance as Muscogee Roller Girls! Don’t forget to follow us on Twitter, Instagram & Facebook for all the updates.